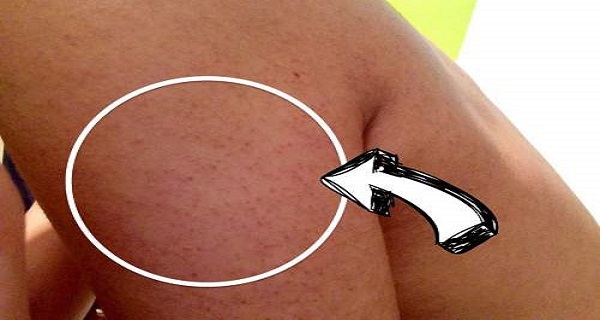 Home behn dailythings Diet DIY fitness Food Health & Wellness Health and Wellness knowledge recent slider Things You Need to Know About Those Annoying Bumps On Your Arms and How to Fix Them Naturally! Some people suffer from the skin condition keratosis pilaris, or ‘chicken skin’. Keratosis pilaris usually appears on the arms, thighs, cheeks and buttocks. This is mostly a problem for people under 30 and can go away on its own. In the meantime, there are natural remedies to help reduce your symptoms. The condition includes small red or white bumps on the skin that may be inflamed and itchy. Although it’s not a serious medical condition, inflammation can cause scarring. Mostly appearing in young children, keratosis pilaris or ‘goose flesh’ usually resolves on its own. Caused by a buildup of the skin protectant keratin at the hair follicle, it is not contagious. Dry skin worsens the bumpiness, so it’s a good idea to use moisturizer on the affected area daily. Some people have been successful at eliminating the problem skin by using coconut oil. According to many, coconut oil is the wonder remedy these days for everything from nutrition to hair care. The science behind this is that the oil has anti-bacterial and anti-inflammatory properties, as well as being an excellent moisturizer for skin. Apple cider vinegar is another natural anti-bacterial substance and it contains vitamins that are beneficial to the skin. Like coconut oil, apple cider vinegar is touted as being beneficial as a food supplement as well as a topical treatment. For keratosis pilaris, it is an effective product for cleansing the area and is a better choice than using harsh chemicals for cleaning your skin. There are several recipes for treating keratosis pilaris that include both of these natural products. Honey is often added because it is a natural moisturizer with a high vitamin content. Mix an equal amount of sugar and coconut oil with enough honey to make it moist, about a tablespoon. Scrub gently on the affected area, using circular motions. Rinse off with warm water and a washcloth. Mix equal amounts of coconut oil and apple cider vinegar. Blend a tablespoon of honey into the mixture. Spread it on the affected area like a mask and leave it on for ten minutes. One thing that is important is to not treat keratosis pilaris as you would acne because dry skin exacerbates the condition. Harsh scrubs, salicylic acid and alcohol based products will not help and may make it worse. Using a gentle, sugar based scrub is preferable, as in the recipe above. Try these natural remedies for your skin and you may be rewarded by an improvement in redness, bumps and itchiness. Just remember to repeat the treatment daily. The vitamins and moisturizers of honey, apple cider vinegar and coconut oil, combined with the antibacterial properties of these products, are nature’s way of healing your skin.